Keeping in mind that low-res photos posted on the internet out of context with ALL CAPS meme overlays are generally unreliable sources of news or information, WOAH these photos don’t look good. 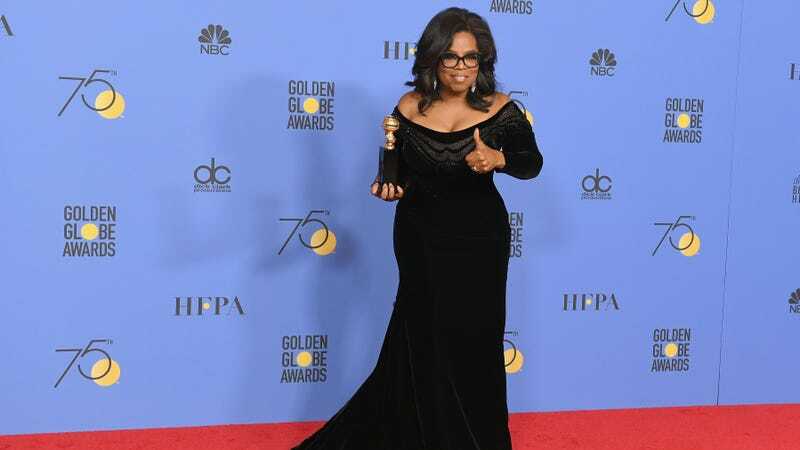 After Oprah’s Golden Globes “Time’s Up” speech rallied an informal #Oprah2020 caucus on Twitter, Seal posted images of Oprah appearing to deliver up a young woman to Harvey Weinstein. He then posted a follow-up video simply to say that justice is better than inspo. Maybe when every surface on your property is up for advertising, time - space = designer trash receptacles–which is probably how Louis Vuitton-branded rollout dumpsters materialized on Kim Kardashian’s feed this week. But every once in a blue moon, Kim Kardashian steers juuuust slightly off-brand with what could be a flash of self-awareness or just an anomaly (see hammer and sickle hoodie; awareness of natural disasters). Is that what this is???? I think that what James said is terrific. And I think that we’ve all behaved, at a certain level, unconsciously, and done things that were insensitive, inappropriate, without necessarily understanding that they were. I mean, we’ve all operated with a certain amount of tone deafness, and I like the culpability, and we have to have restorative justice. This is about men and women being all together and having a more equitable and just workplace, home life, social spaces. The things that I heard that were on Twitter are not accurate, but I completely support people coming out and being able to have a voice because they didn’t have a voice for so long. So I don’t want to shut them down in any way. It’s, I think, a good thing, and I support it. “If I’ve done something wrong, I’ll fix it,” he added. Anyway, he said he hadn’t gotten around to reading the accusations yet.